Day 2 of the Amigurumi Advent Calendar is a crochet amigurumi persimmon! There’s just something about fruit that makes it so perfect for amigurumi. I guess it’s pretty easy to see – the colors and shape are simple to replicate, and the results are almost always universally recognizable. Plus, they make great gifts for kids who are obsessed with their play kitchens and want to make their parents ALL. THE. FOOD. Ask me how I know! 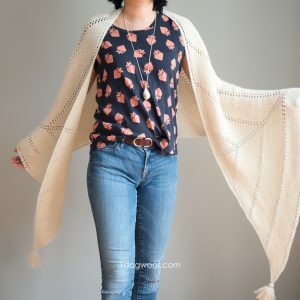 I received yarn support from LoveCrochet for this project. All photos and opinions are my own. There may be affiliate links in this post. 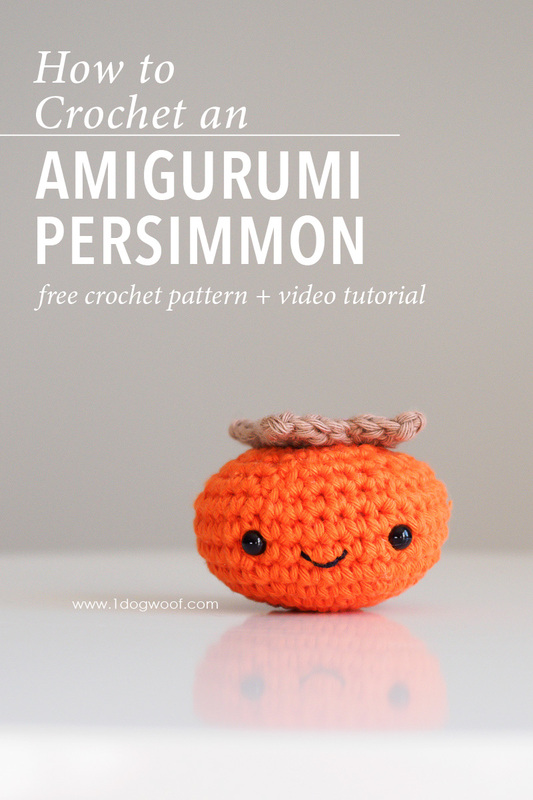 This amigurumi is specifically for a Fuyu persimmon. It’s the short, squat kind that you can eat when it’s hard, not the heart-shaped kind that you have to wait until they rot before you can eat them. 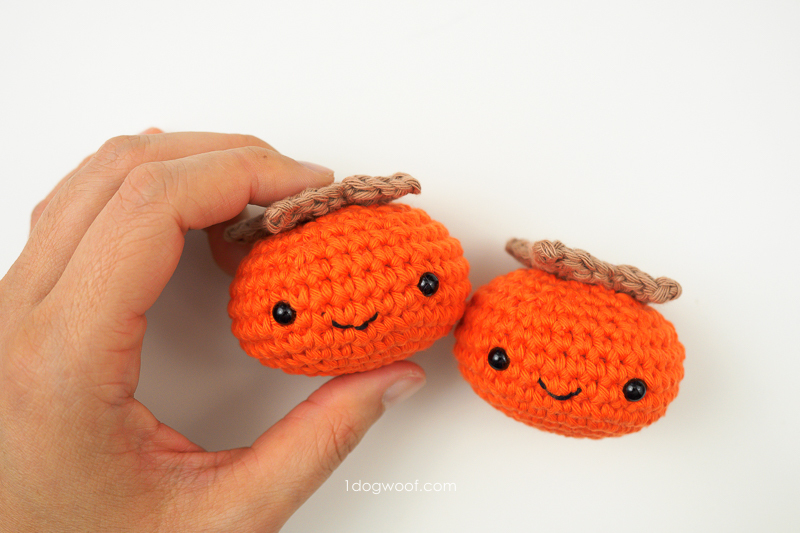 I love these guys, so when I thought about the amigurumi I wanted to make, it wasn’t apple or orange, it was my favorite winter fruit, the persimmon. Persimmons are a shade of vibrant orange, so this is a great opportunity to use up that Camo Orange yarn you’ve got stashed away. They always come with a set of leaves on top, brownish green and crackly dry, so I went with a soft brown shade for the leaves. 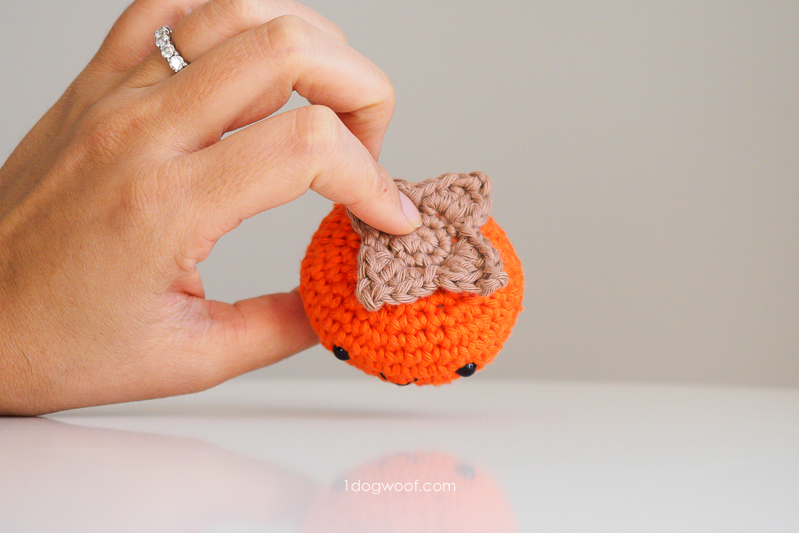 For the construction, the persimmon amigurumi is worked in continuous rounds. I’m not always a fan of continuous rounds as I think it sometimes comes out just lopsided enough to bother my OCD, but fruit are not perfect by nature, so any lopsidedness is just a quirk that reflects real life. Speaking of real life, this amigurumi, made with LoveCrochet’s Paintbox Cotton Aran, comes out about the same size as a real persimmon too! The leaves are worked in seamed rounds, and then attached to the persimmon itself. You’ll want to start with a long tail, about 12″, so you can use that tail for sewing. The tail you end with can be simply woven in. To see how I worked up my persimmon, check out the video tutorial below! Rounds in the persimmon are worked continuously with no seams. Rounds in leaves are joined in the round. Eyes are placed approximately 1.0-1.25 inches apart. 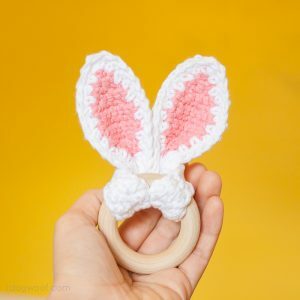 Amigurumi can be closed using this technique. Add eyes between Rounds 7 and 8. Sew mouth between Rounds 6 and 7, centered between the eyes. Fasten off, close, and weave in ends. Round 3: Ch 1. *In the same st as join, work 1 sc, 1 hdc, and 1 dc. Ch 2, and sl st into the front loop of the dc and side of dc. In the next st, work 1 dc, 1 hdc, and 1 sc. Sl st in next st. * Repeat from * 3 more times. Use the beginning tail to sew the stem onto the persimmon body. If you enjoyed this pattern and are showing it off to the world, make sure to tag me @1dogwoof with the hashtag #AmigurumiAdventCAL. You can also head over to the Amigurumi Advent Calendar intro post to see the entire collection! 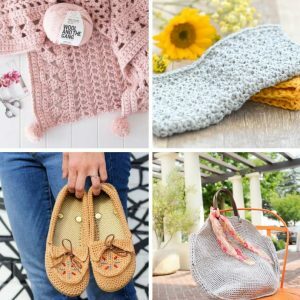 Check out my pattern shops on Craftsy, Ravelry and Etsy where you can purchase printable PDFs of my latest crochet patterns. These PDFs are formatted without comments or ads, and have instructional photos at the bottom for optional printing.